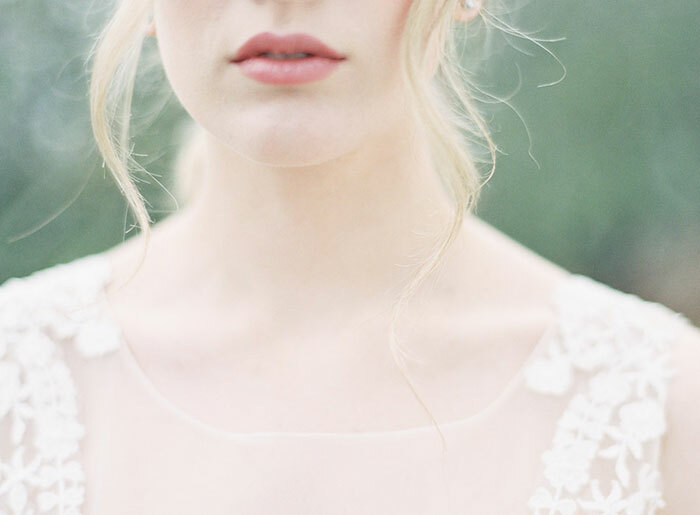 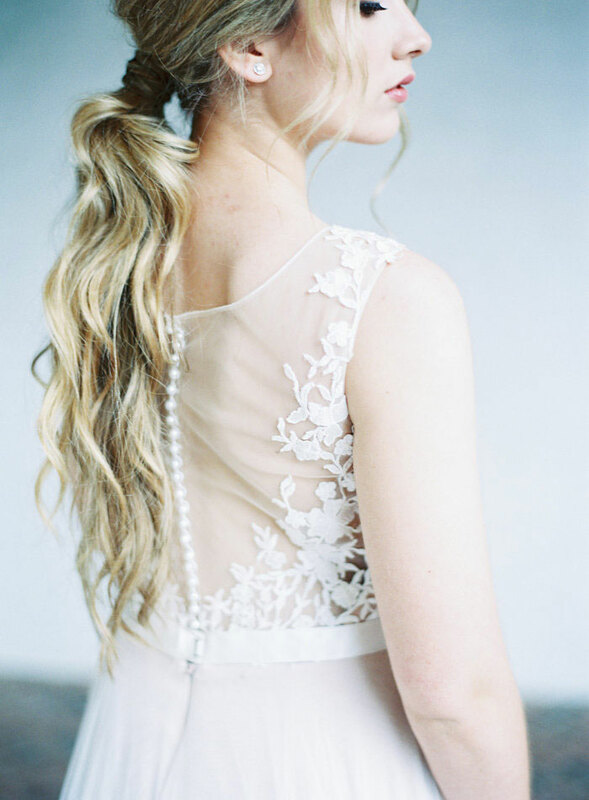 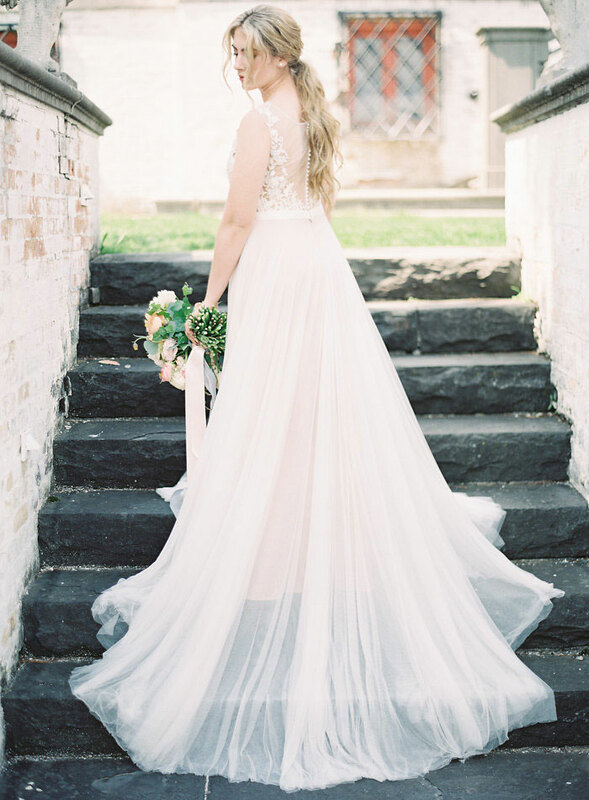 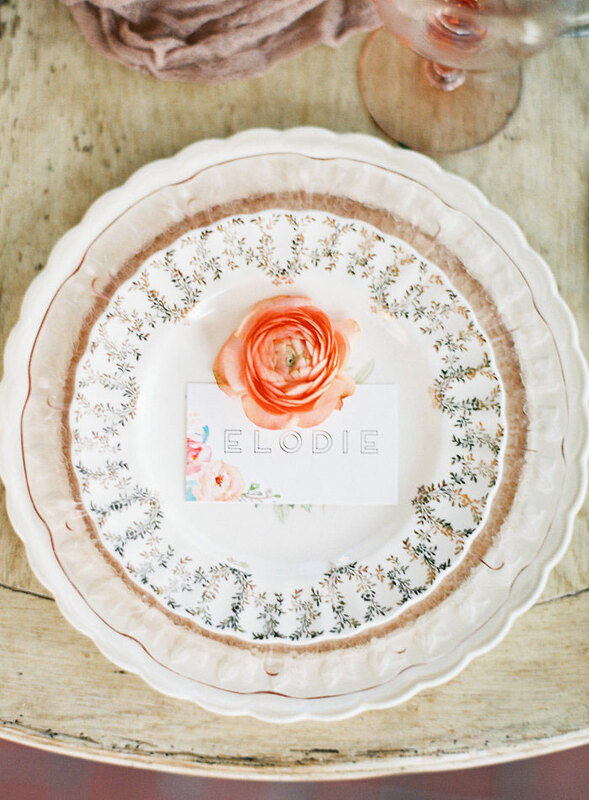 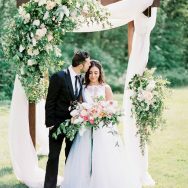 You better believe our heart-eyes when this incredible styled shoot from Natashia Nicole Photography and Harper & Grey Events landed in our in-box. 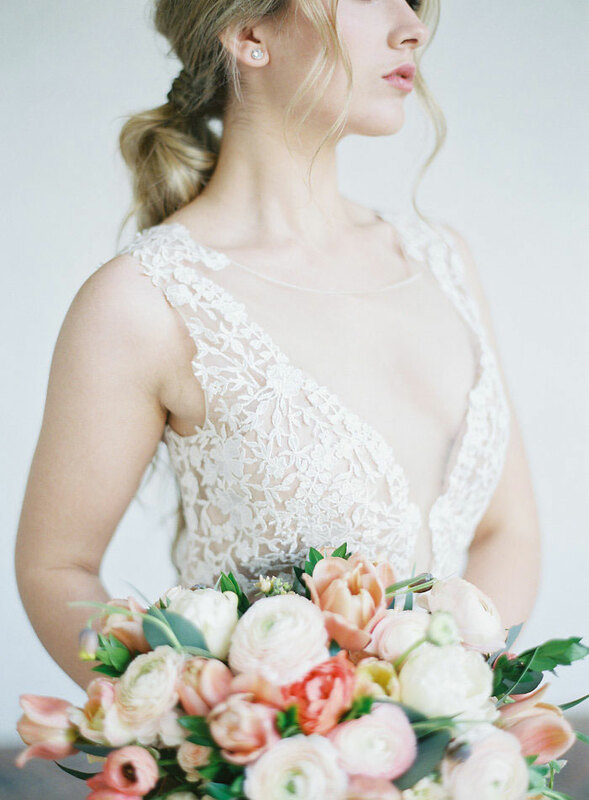 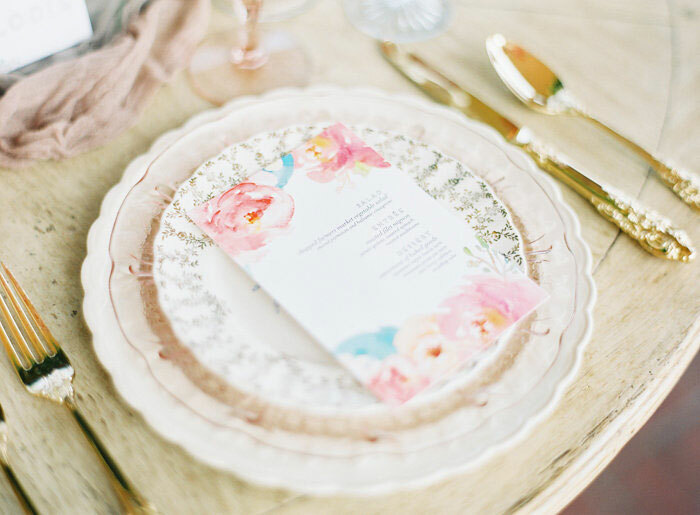 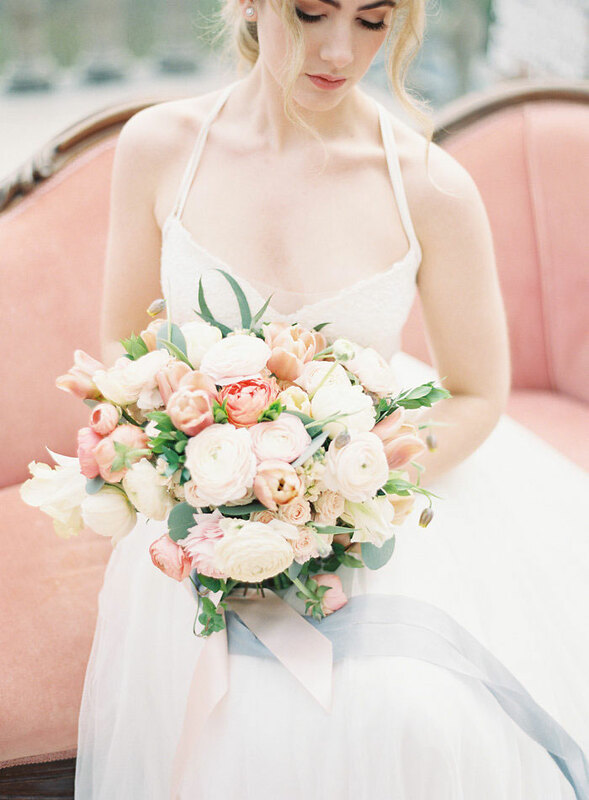 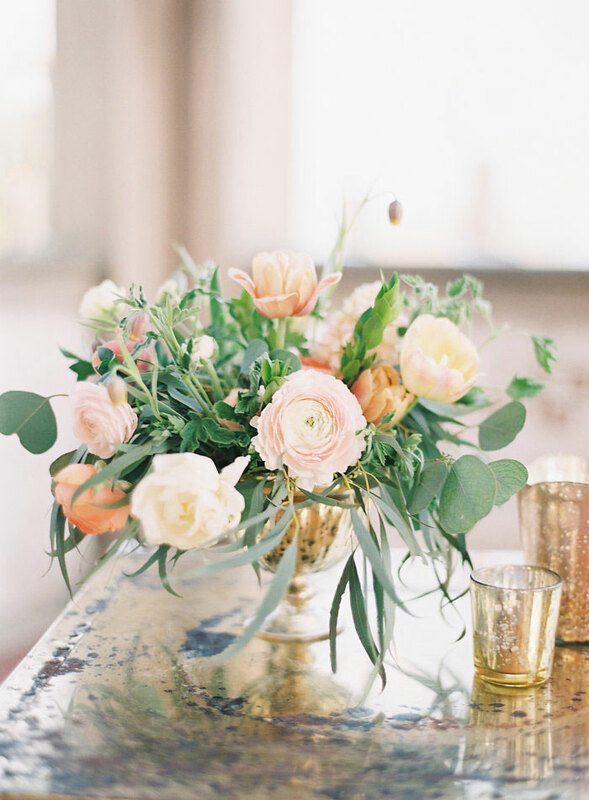 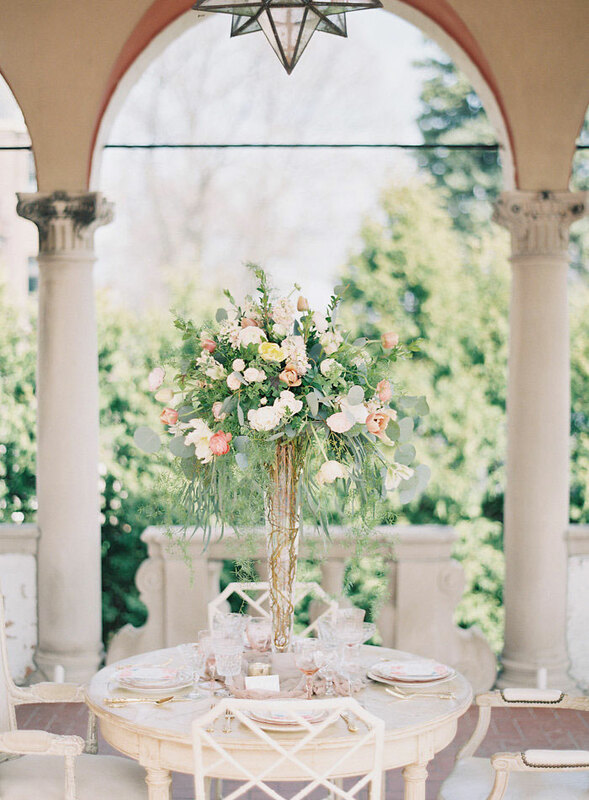 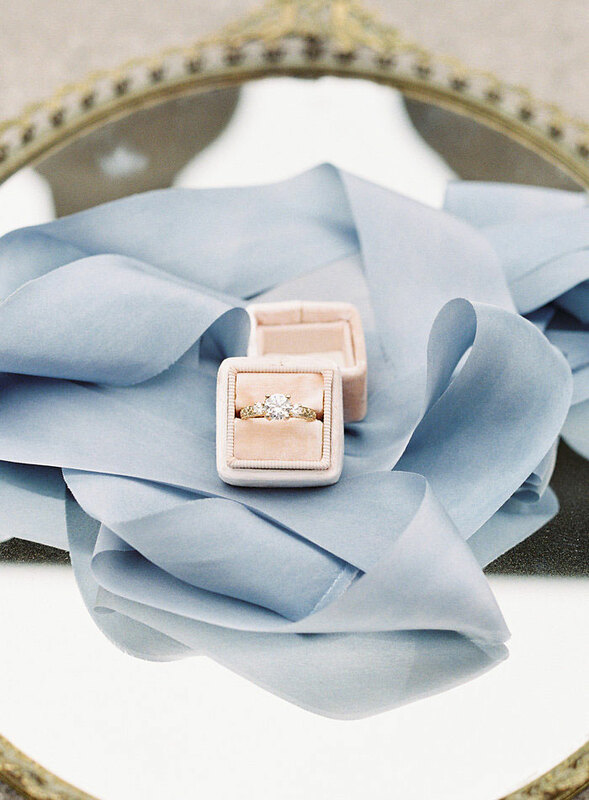 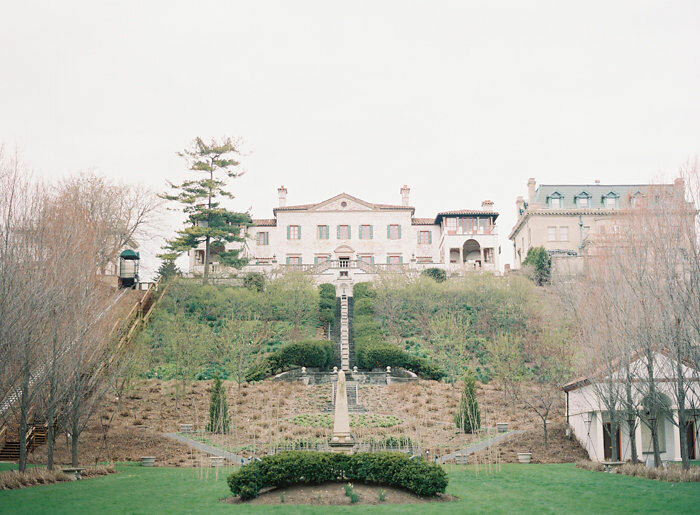 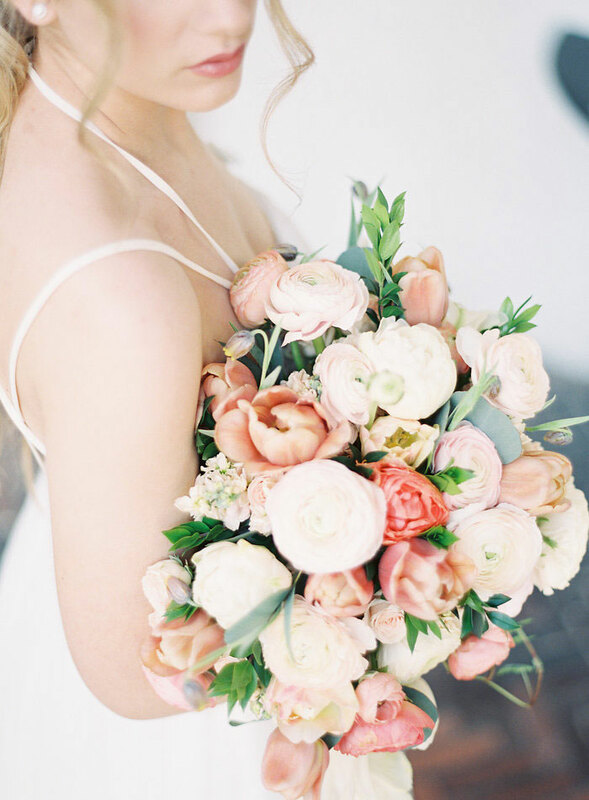 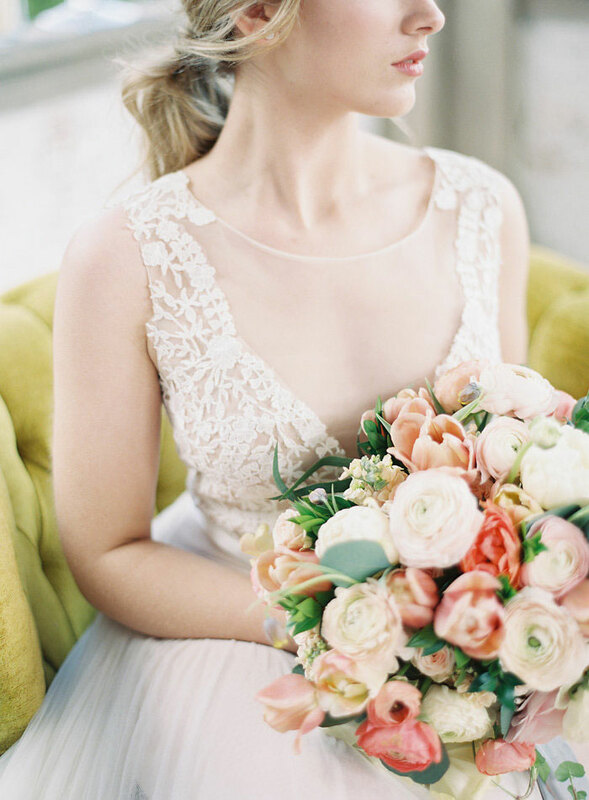 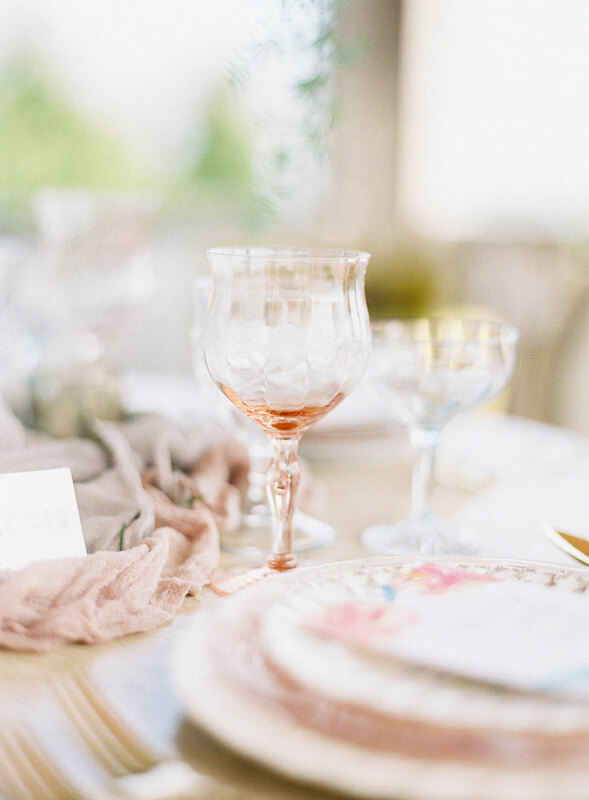 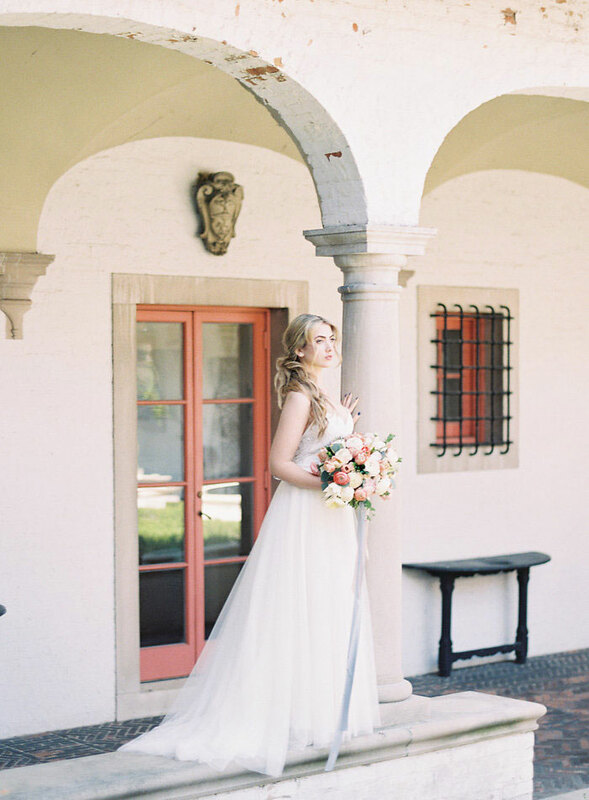 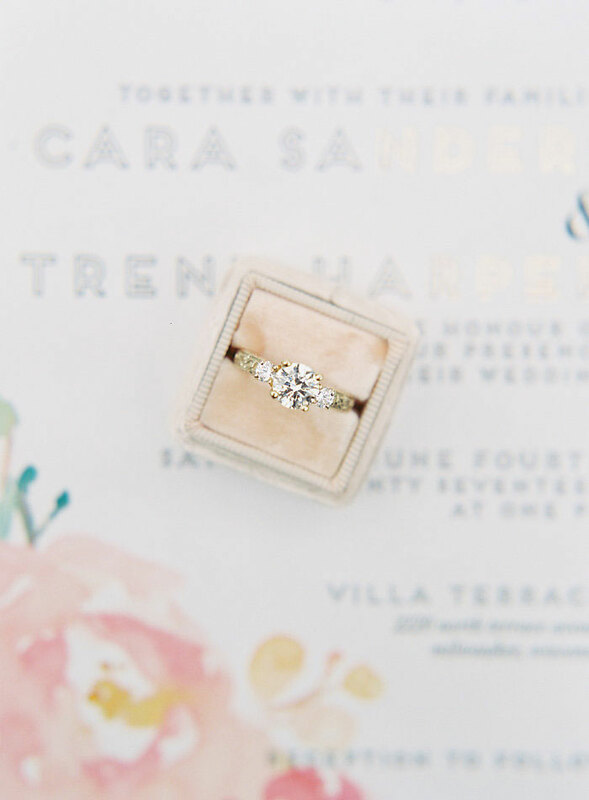 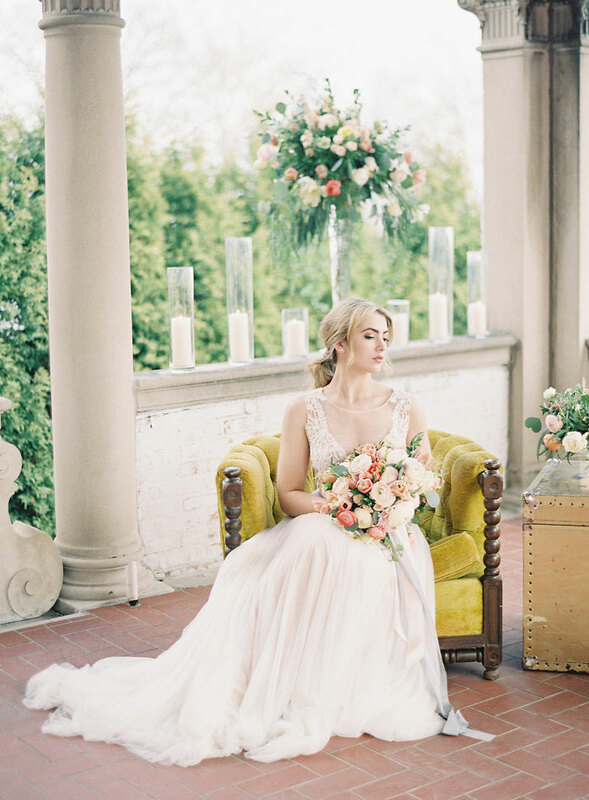 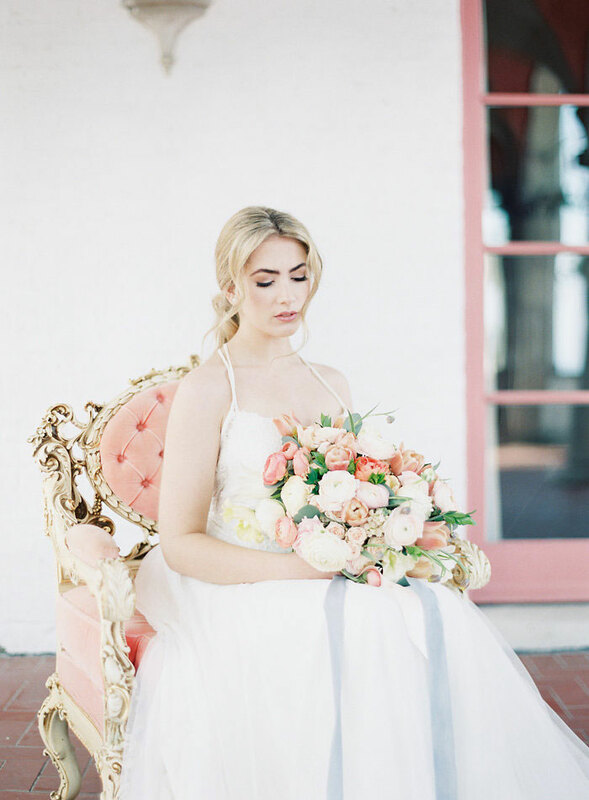 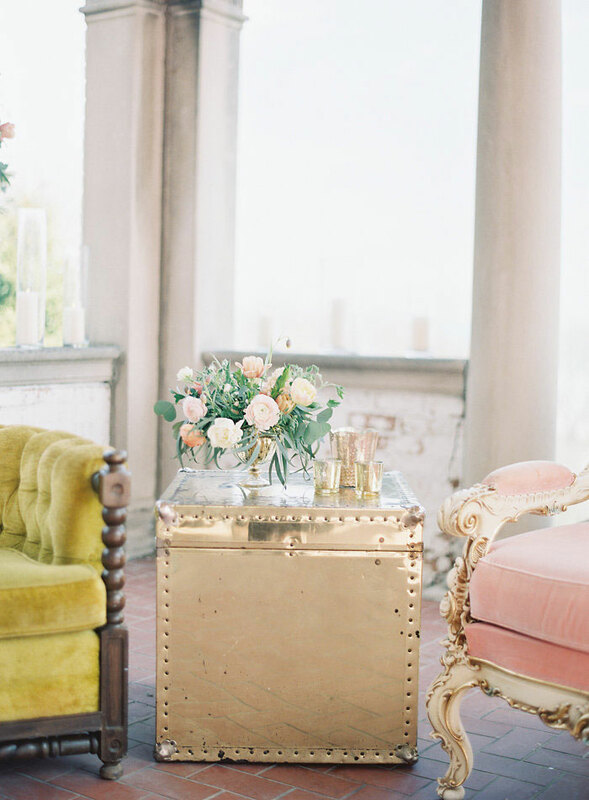 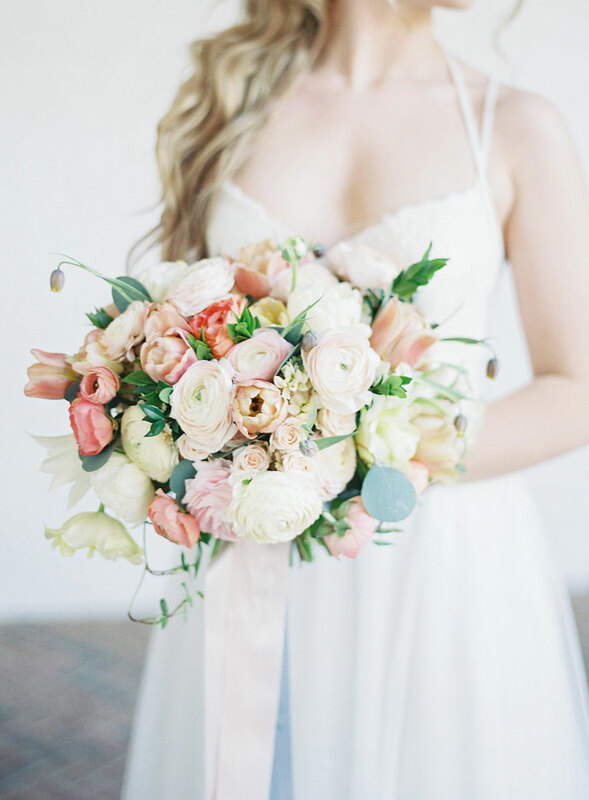 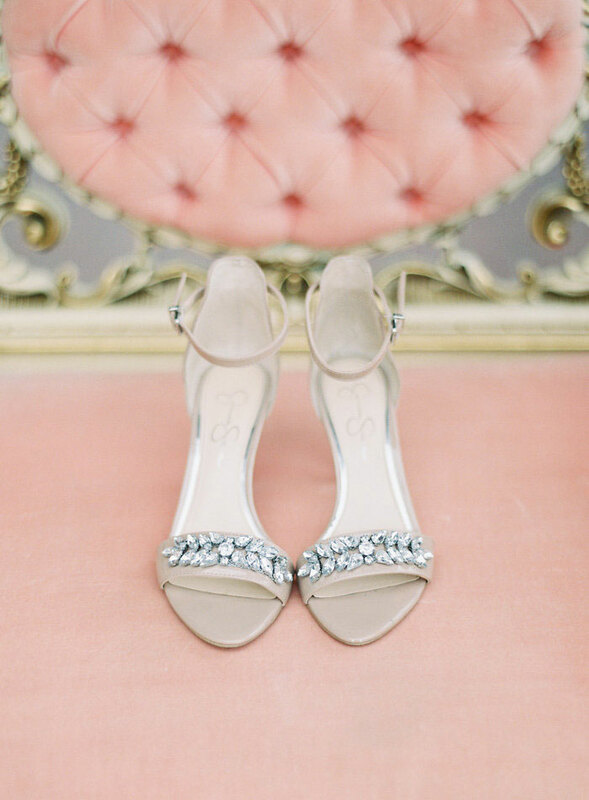 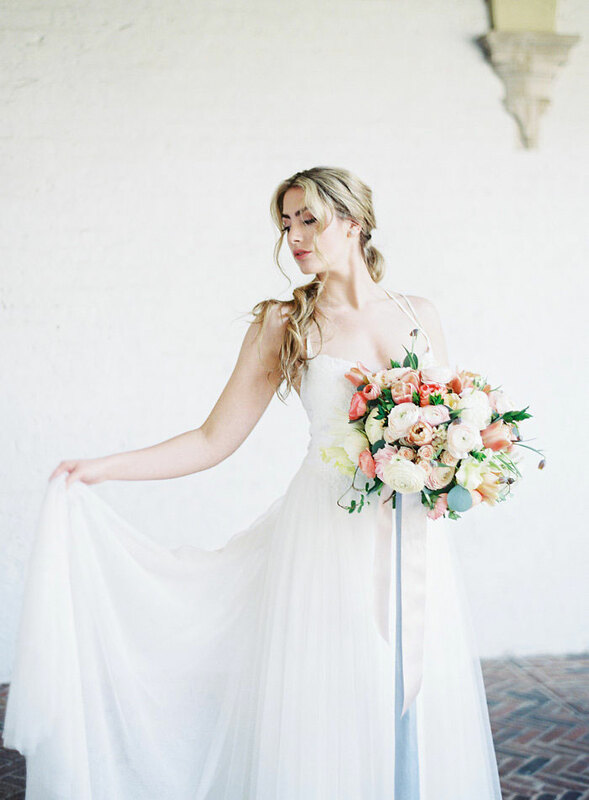 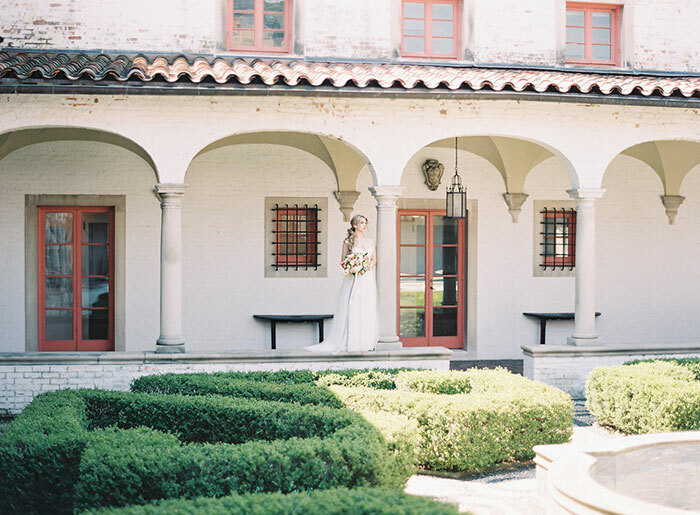 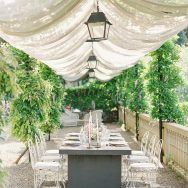 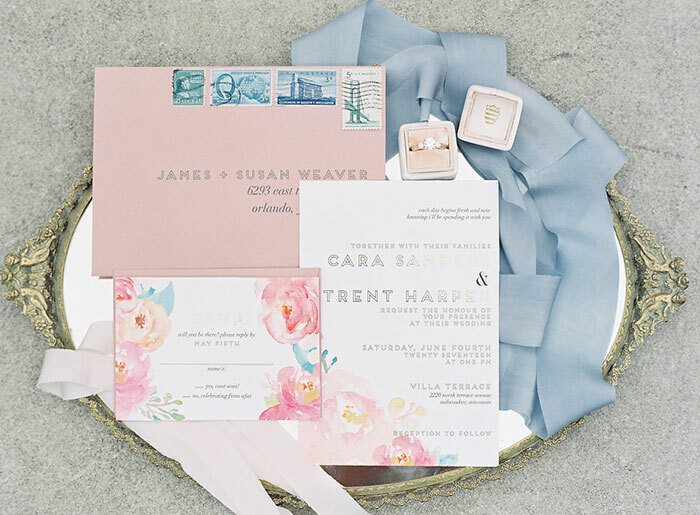 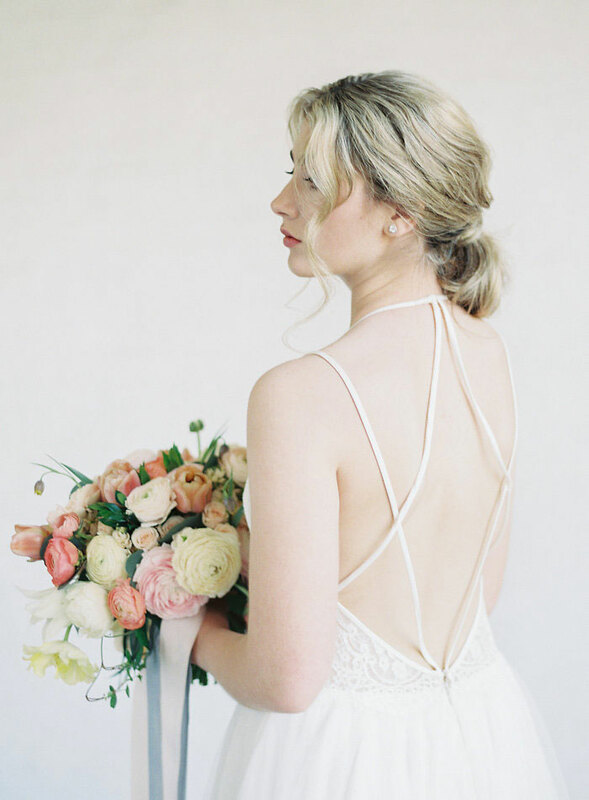 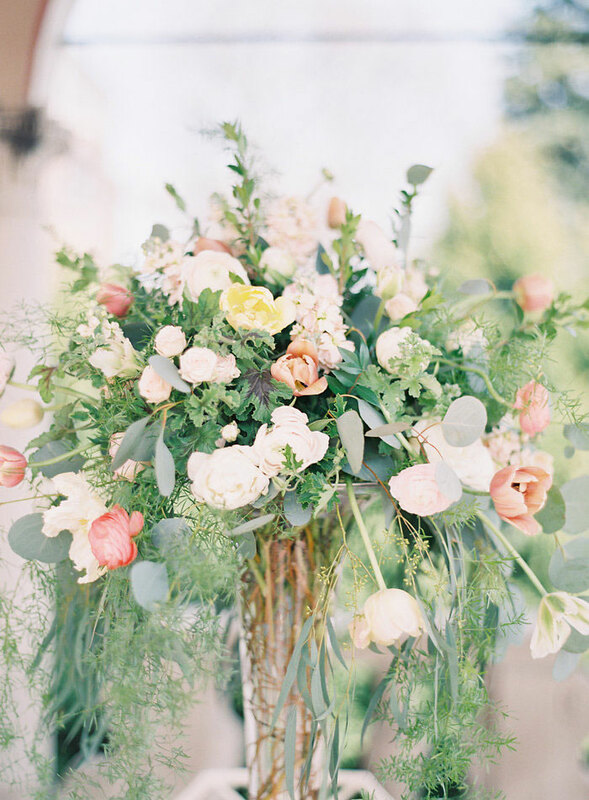 As far as we’re concerned, you really can’t go wrong with peach florals, chartreuse velvet and an Italian villa—and this session features all these and more. 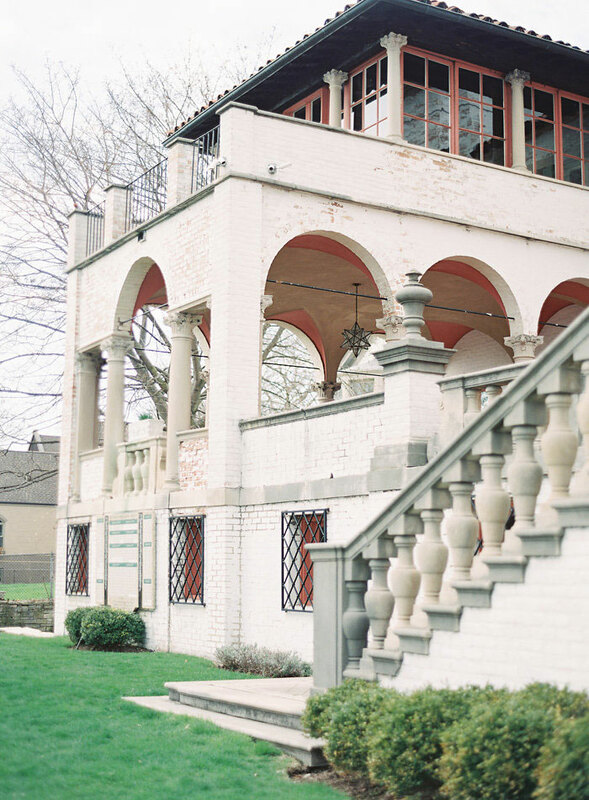 The team aimed to bring out the unique features of the Villa Terrace Decorative Arts Museum without overwhelming the architectural beauty of it. 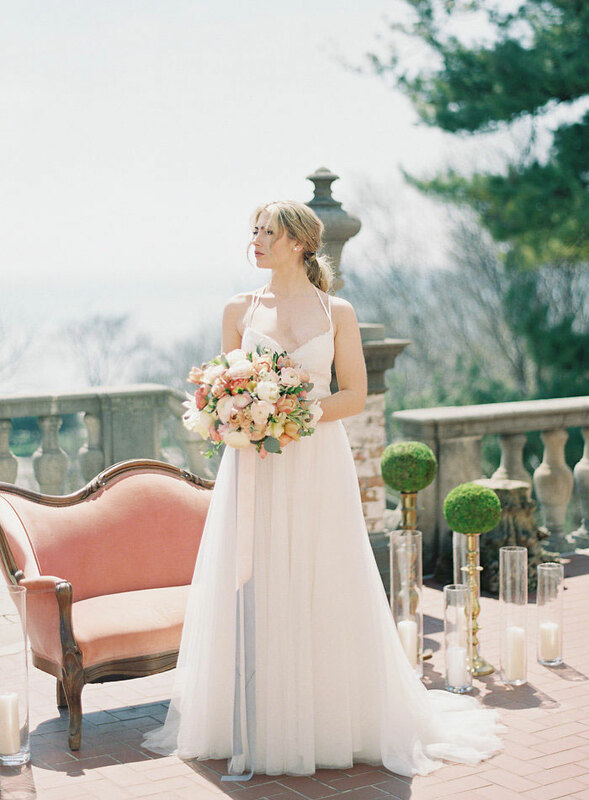 Ethereal gowns from Watters set the tone for the inspiration, while the pastel pink blooms of the florals by Wood Violet added to the soft, feminine look. 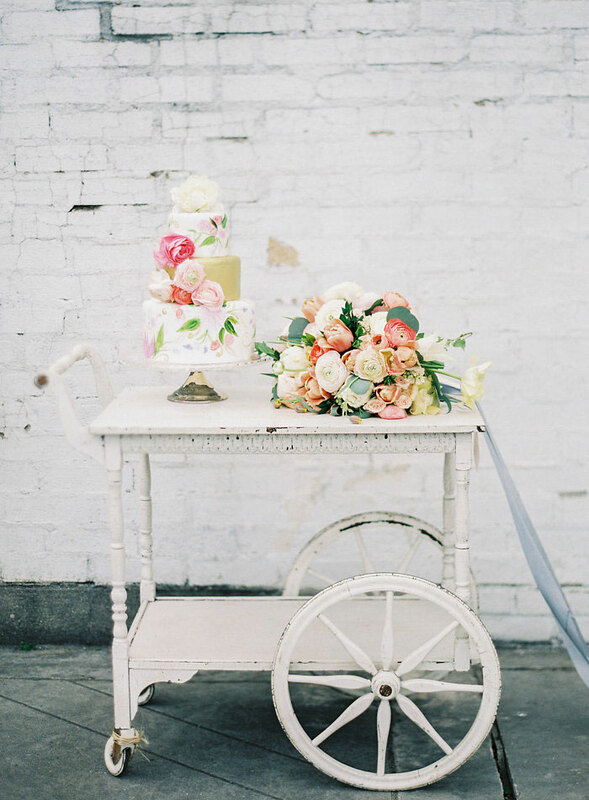 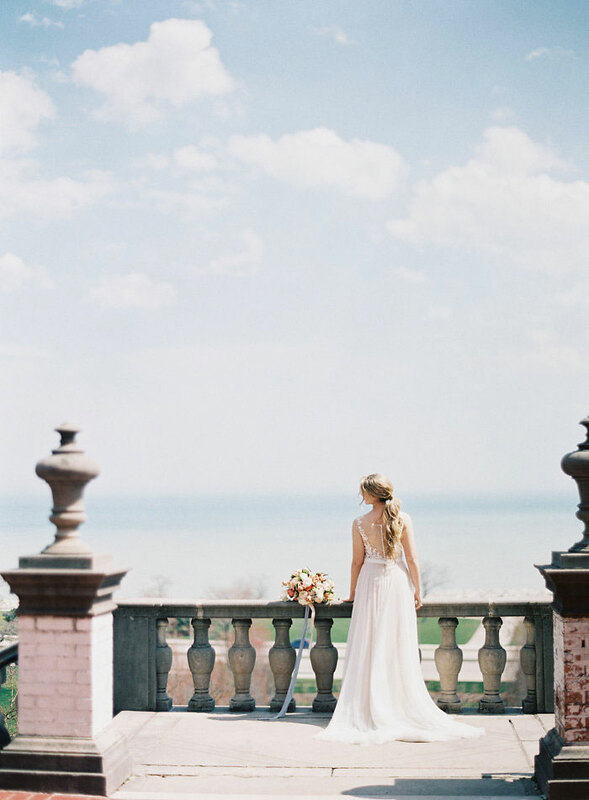 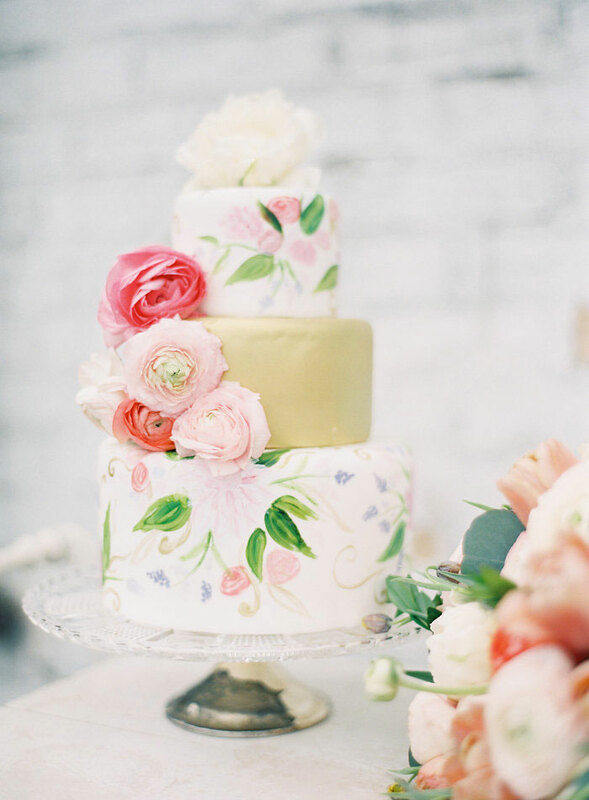 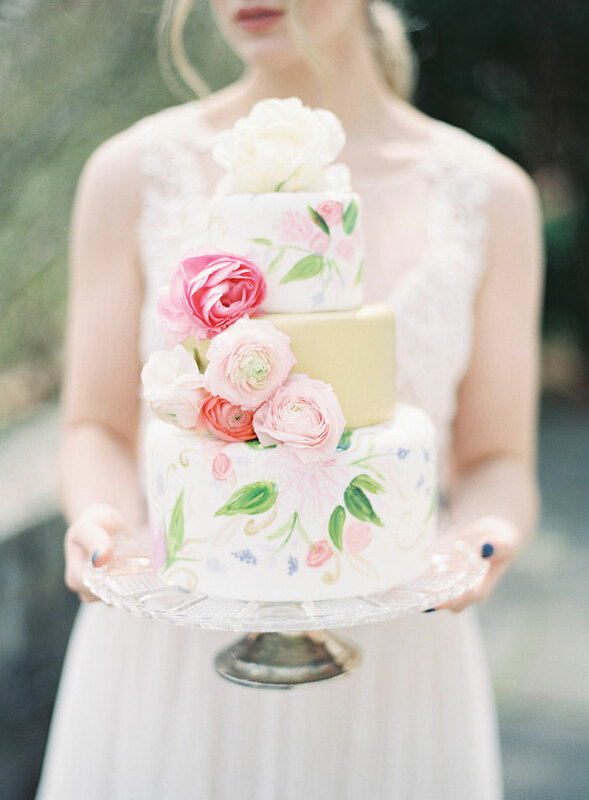 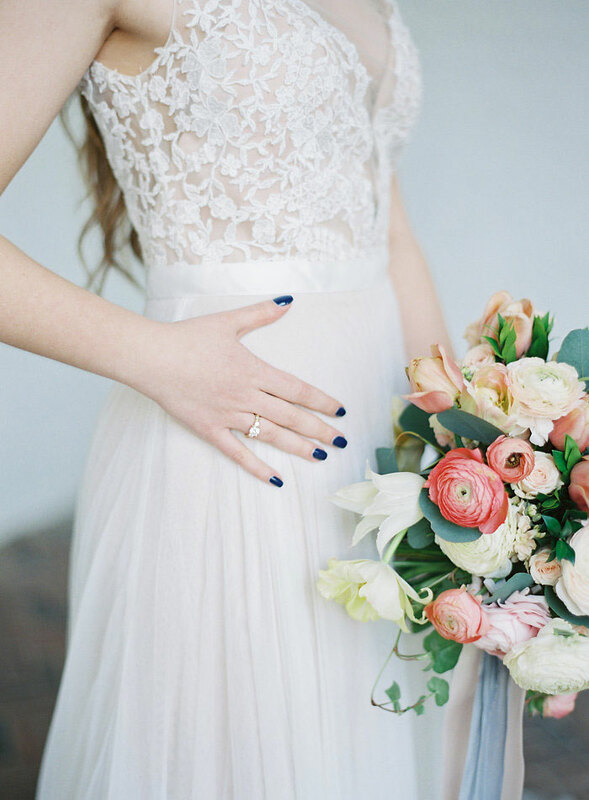 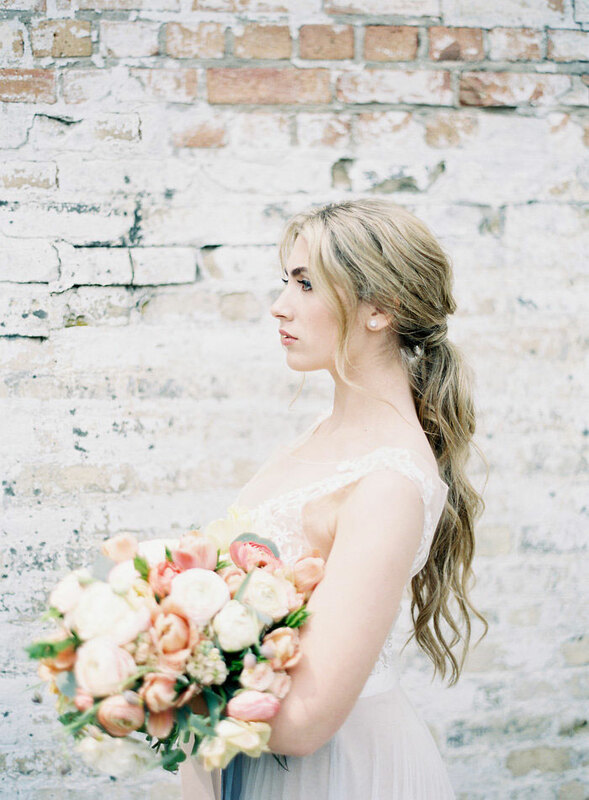 A hand painted floral cake by Eat Cake Milwaukee and adorable vintage Victorian rentals from Relics Vintage Rentals added the final touches to the shoot, tying everything together with an old world feel. 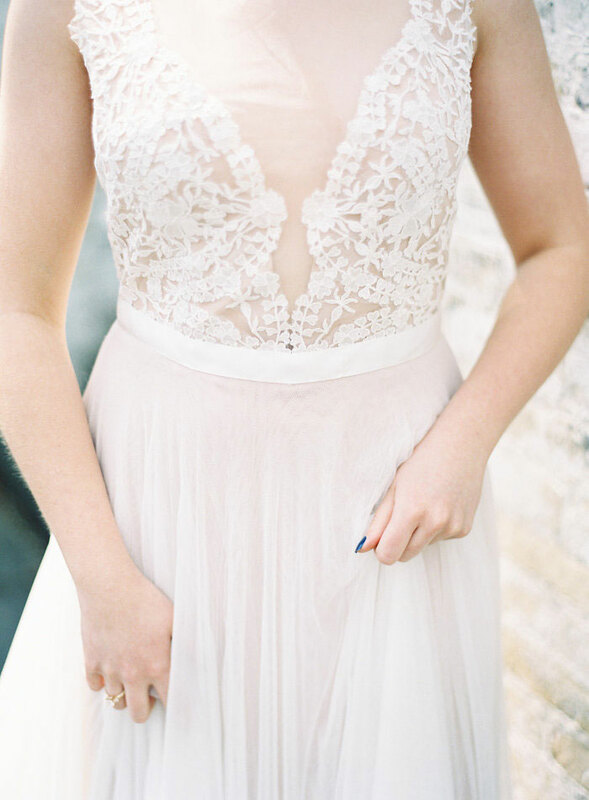 We totally love it and know you will too!